It has been quite some time since our last mysterymakan session! 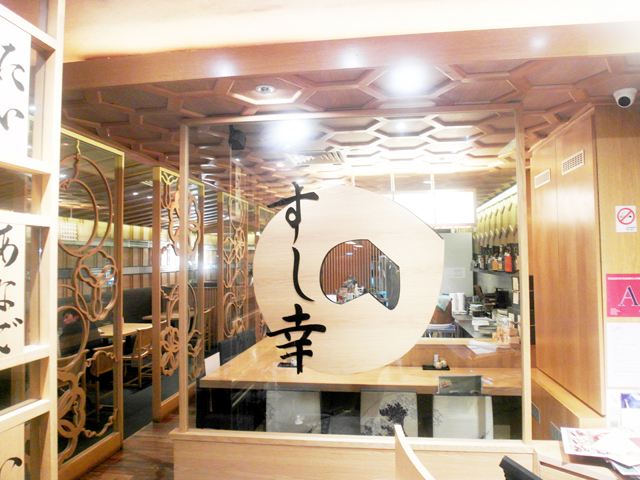 This time is Nadia's turn and she brought us to have affordable omasake at Sushi Kou. 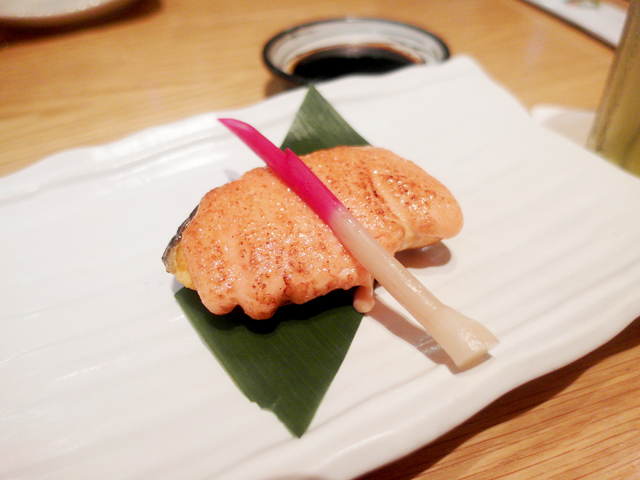 Omakase is commonly used in Japanese restaurants for a meal where the chef uses their experience and knowledge to select and prepare the meal for a customer without specific directions. I have always wanted to try omasake but most Japanese restaurants offer them quite expensively and I didn't know there are places in Singapore serving them at below the usual $100++ to $300++ per pax price range! 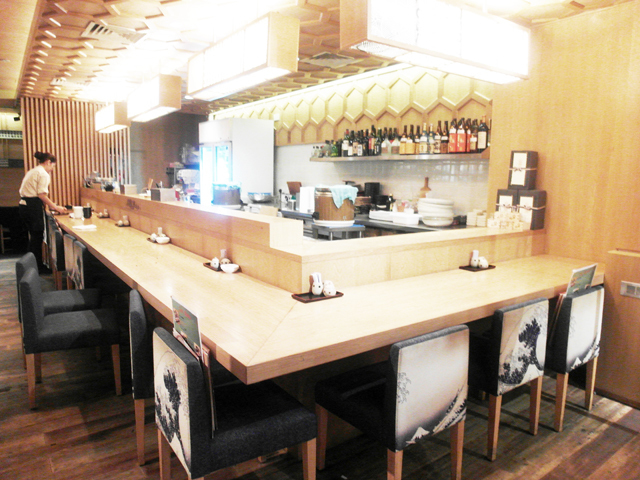 Sushi Kou is located at Tanjong Pagar, just doors away from the very popular Teppei, also another restaurant serving affordable omasake. Not all the tables are counter seats. We sat at regular tables and I felt that it sort of took away a bit of the "mystery" feel. I would have preferred to sit at counter seats so that I can look at the chef prepare my dish. Somehow, when the food arrived it felt more like 'my dining companion had ordered food from the menu before I arrived so I don't know what we are eating today' instead of feeling that my dish is specially created by the chef, Of course, it's easier for us girls to chit chat over a regular table as compared to in a row at the counter. First dish! 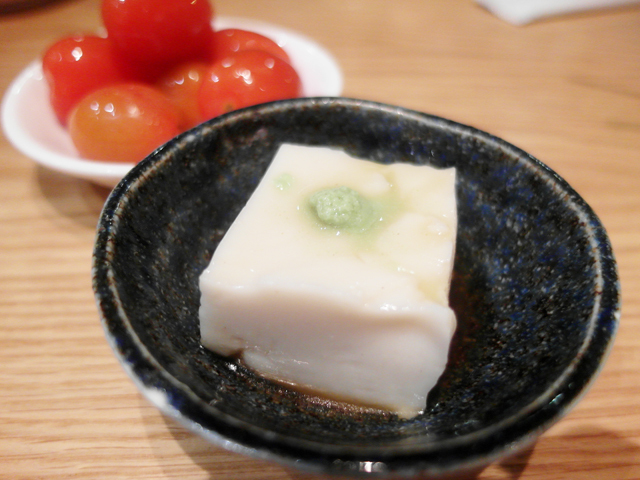 This tofu with wasabe! 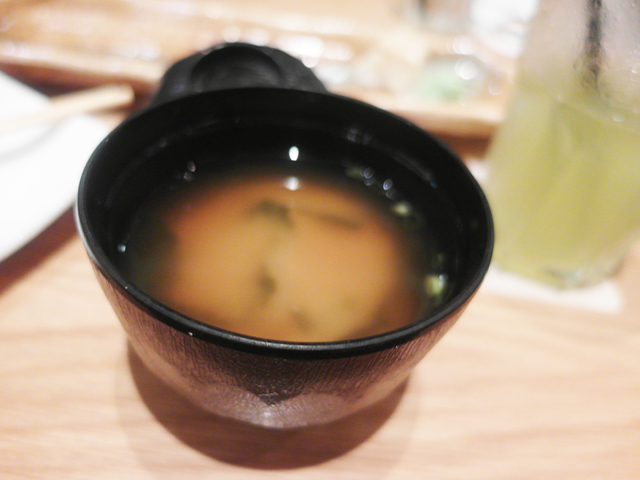 Swept off most of the wasabe and ate the silky thing. Nice start to the meal! 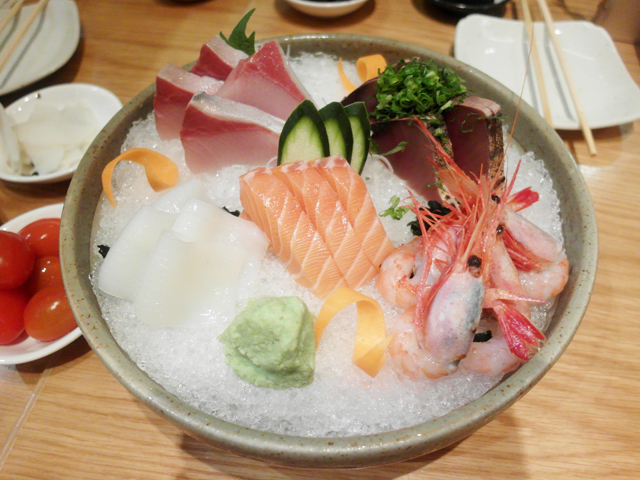 After that, we had sashimi bowl! Fresh and good enough. 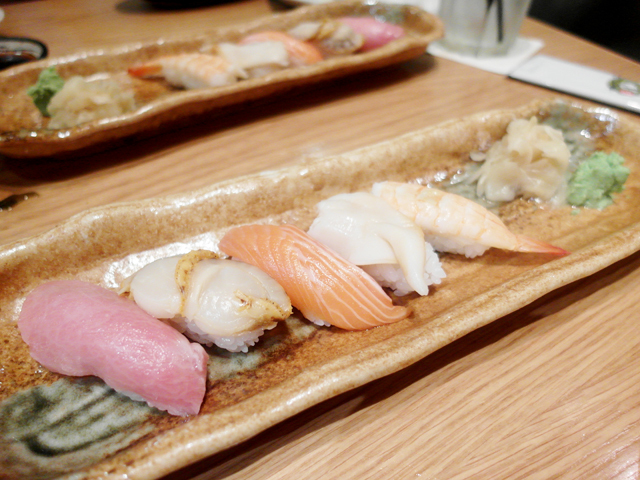 I seldom ever attempt to try sashimi of other fishes except salmon, so it was a chance for me to see if there's any other type of fish I may also like. My favourite that day was this. Who can resist the mentaiko on top! 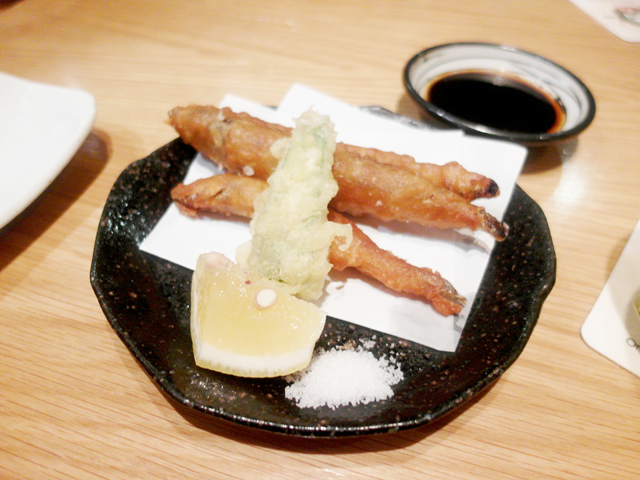 The next dish was quite difficult for me to accept - komochi shishamo, which is fried pregnant fish(?). There were many eggs at the belly and I felt it tasted quite weird, probably because I was put off by biting into so many fish eggs. Next dish was also quite meh for me. I guess having omakase is a gamble itself. There is no guarantee that everything served will suit every individual's palate. 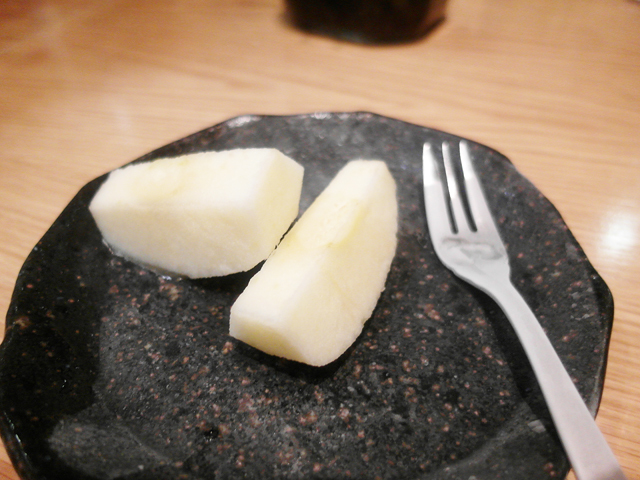 And sweet, chilled pear which were extremely tasty! Love! It was an awesome experience! Thanks Nadia for introducing us to Sushi Kou!